The countdown to Christmas has well and truly started and to celebrate, we've teamed up with the SSE Arena to offer listeners an exciting Christmas giveaway! 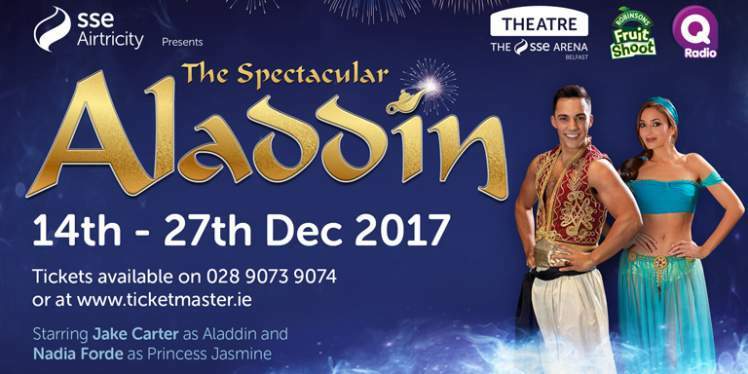 Would you like to win tickets to Northern Ireland’s Newest & Biggest Christmas Pantomime, 'The Spectacular Aladdin'? All this week on Q Breakfast, we're giving one lucky school class the chance to win a special visit to the spectacular Aladdin pantomime which kicks off this December at The SSE Arena Belfast. The winning class will enjoy an exclusive screening on Thursday 14th December at 1.30pm. Q Radio will be there on the day with Q goodies, live music and a warm up party before the show starts. Take a journey to Old Peking and meet old Widow Twanky and her poor son Aladdin. Times are tough but Aladdin's life is dramatically changed when he falls in love with the most beautiful woman in the Kingdom, the Princess Jasmine. Enter the most evil baddie in the Kingdom, Abanazer. Will the evil Abanazer destroy Aladdin's dreams to get rich and marry the Princess? Will the Genie ever get his freedom? Will you and your family have the best time of Christmas 2017? There’s only one way to find out - book your tickets and journey on this magical carpet ride to a whole new world. 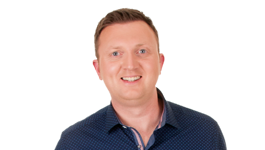 Singer Jake Carter will take on the role of Aladdin and he will be joined by X Factor's Rhydian Roberts who will play the evil Abanazer and Ross Anderson Doherty as the Genie. Q Radio will also bring an exciting new dimension to the Panto experience with their Q Radio Warm Up Party. If you're a School Teacher or parent, please register your school details below for the chance to win! The School will be notified by telephone to arrange the winning prize. The prize must be redeemed on Thursday 14th December at 1.30pm.